“ Italia 1918 - A Farewell to Arms “ is an operational wargame which transposes the game system used in “Somme 1918- Bloody Spring” (Nuts! Publishing) and “Marne 1918- Friedensturm” (Hexasim) on to the Italian front, to simulate the fierce fighting which pitted the troops of the Entente (Italy, France, Great- Britain and USA) against those of the Central Powers (Austria-Hungary and Germany) during the period between the Battle of Caporetto (Oct 1917) and the Villa Giusti Armistice (Nov 1918). Two A1 maps, printed front and back, are included. The “global” one covers the terrain between the Adige River and Trieste, to allow the players to simulate the whole campaign from Caporetto onwards. The “zoom” map, with enlarged hexes, covers the terrain from Adige to the Adriatic sea in order to concentrate on the main combat zone after the Italian retreat: the Piave River, the Monte Grappa Massif, the Asiago Plateau and the Trento area & for the second one the zone of the Austro-German offensive on the Isonzo that has been immortalised under the name of the battle of Caporetto. 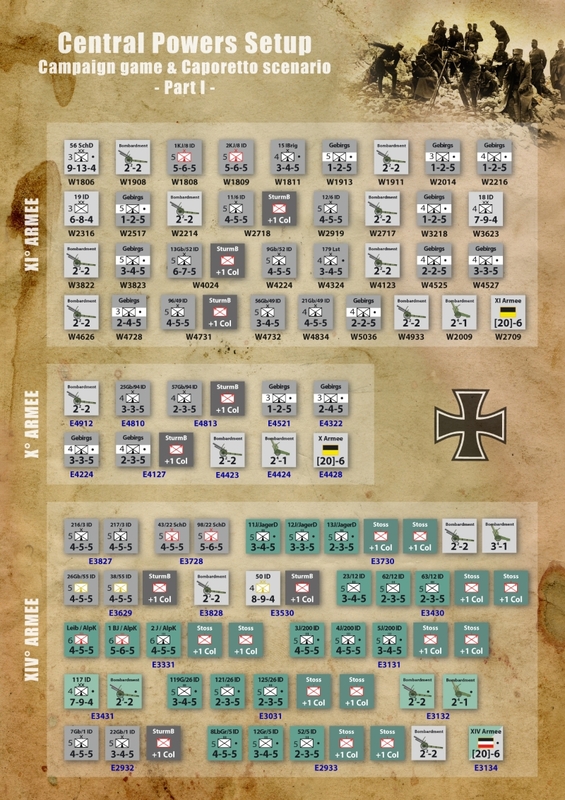 The 2 ½ countersheets include a complete OB for all the belligerents, from tenacious Italian “Alpini” to the redoutable German “Alpenkorps”, along with Austrian “Kaiserjäger”, Hungarian “Honvéd” divisions or French “Chasseurs des Alpes”. While using the same game system as the first two volumes, “Italia 1918” includes new features characteristic of this underrated front: the mountains and their specialised units, assault troops from both sides (Sturmbataillone, Arditi), the several nationalities within the AH army and more. Basic rules allow the players to tackle 6 variously sized scenarios, from 1 to 6 hours of play, using either a part of the board, or the map in its entirety. 5 of the scenarios are designed to be played on the ‘zoom’ map, in order to take maximum advantage of the improved play experience provided by the larger hexes. 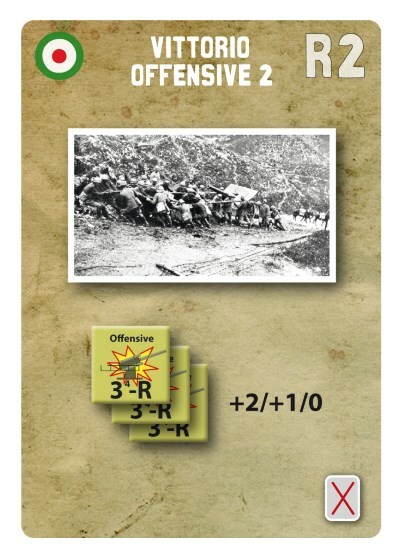 “Thunder at Caporetto” (4 turns/ portion of the “global” map) covers the offensive of von Below’s XIV. 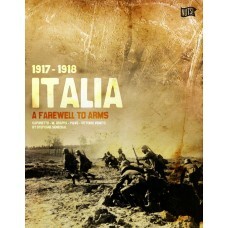 Armee, which caused the collapse of the Italian IIa Armata and set in motion the retreat to the Piave. 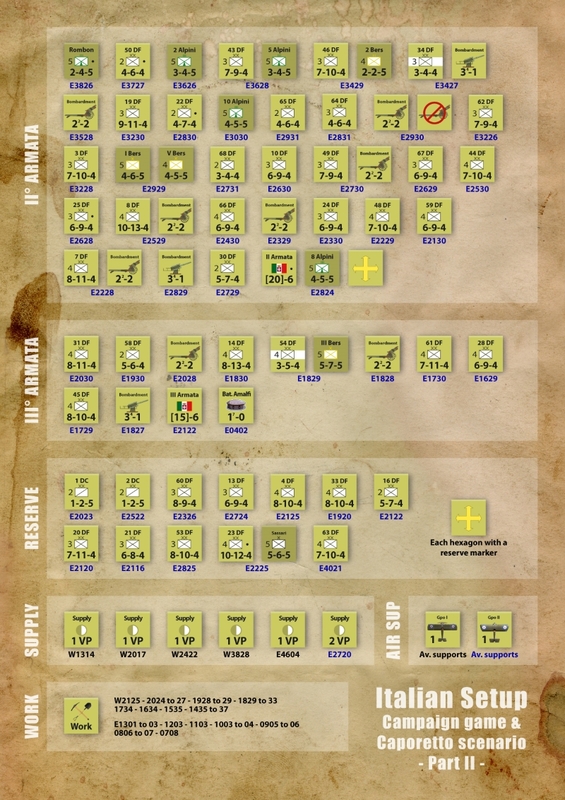 “1st Piave: the stopping battle” (3 turns / all of the “zoom” map) simulates the last attacks launched jointly by AH and German units, before the Germans were withdrawn to the Western Front. These assaults were only contained by the fierce resistance of the Italian army on the Monte Grappa-Piave line, the last obstacle before the Venetian plain. 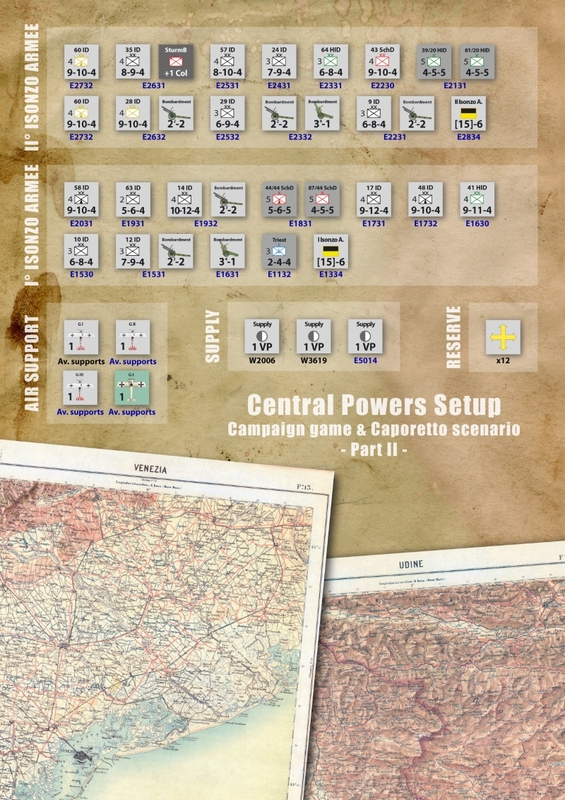 “Radetzky: Conrad’s last gamble” (1 turn/ half of the “zoom” map) is a 1 turn scenario covering the offensive launched in the Asiago region in June 1918 by the former Imperial Chief of Staff Conrad von Hötzendorf, an offensive that was stopped by the joint efforts of Italian, French and British troops. This is the game’s introductory scenario. 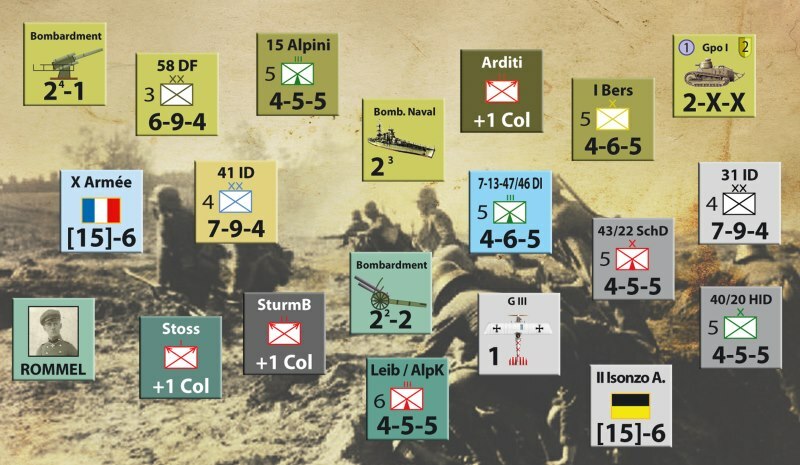 “Albrecht: Boroevic’s missed opportunity” (3 turns/ half of the “zoom” map) simulates the offensive launched by Army Group Boroevic on the Piave at the same time as “Radetzky”. “2nd Piave: The Battle of the Solstice” combines “Albrecht” and “Radetzky” in a big 4 turn long scenario using the whole of the “zoom” map. 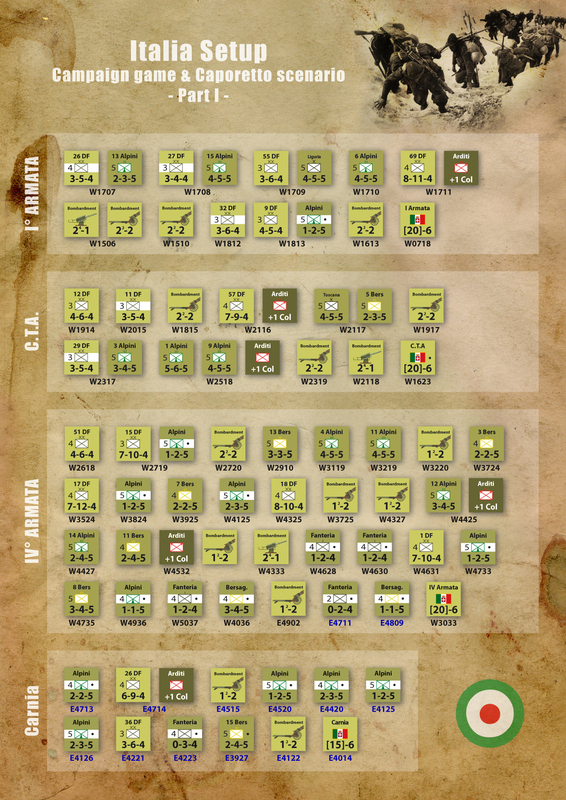 “3rd Piave: Revenge at Vittorio” (4 turns/ whole “zoom” map) simulates the final Entente offensive which is now known as Battle of Vittorio-Veneto. 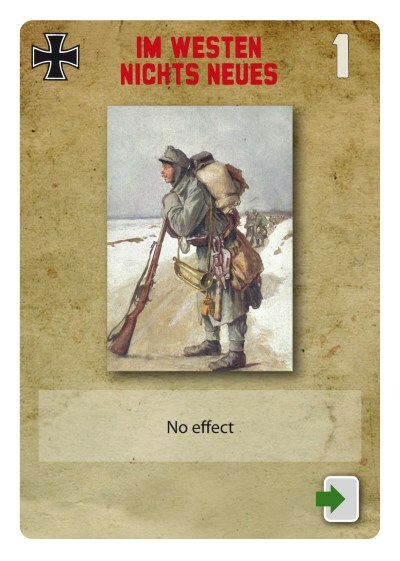 Advanced rules allow the players to simulate the whole campaign; they introduce the reconstruction of destroyed units, the management of strategic reserves and the use of random events cards (50 for each side) with various effects and evocative titles such as “Rommel”, “Hemingway” or “I ragazzi del 99” (“The boys of 99”), for example. The campaign game is played on the “global” map, beginning with the Caporetto offensive and lasts 23 to 36 turns. 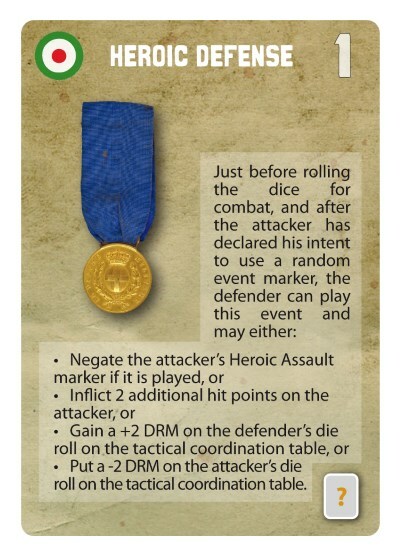 Optional rules will allow players to explore several “what-if” possibilities. 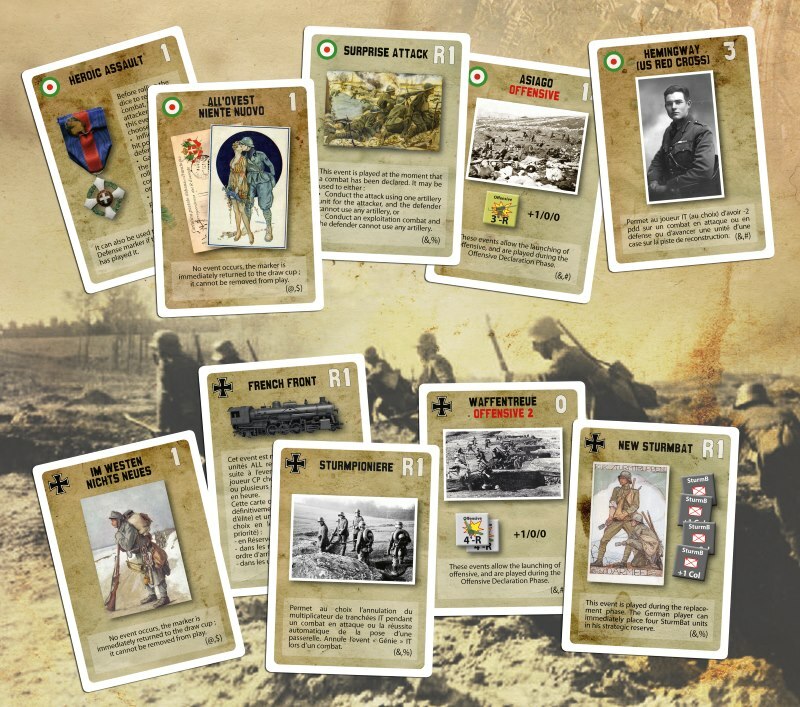 For those who do not know the system, the basic rules of Somme 1918 can be consulted ( link to rules ) while waiting for the online rules of Italia 1918, which will be similar but with some adaptations and novelties. Somme 1918 Sequel of Marne 1918: FRIEDENSTURM ..